Churning Buttermilk; Oil; 20” x 24"
​The joys and beauty I find in nature work to weave their way into the life of my paintings. The compositional elements become more than just objects of rocks, trees, rivers or even structures. The time I spend on location is not fleeting. Getting to certain locations requires planning and effort. Not always easy in accomplishing, just something we as artists seek out while others may not even consider undertaking. There are special moments that usually just happen when you remain long enough, making the ordinary into the reason for the painting, and its essence. It is through the paintings I try and encourage others to take that hike, and discover some of the magic in those places. ​Judson Brown is a realist painter who has taught art for more than 35 years. Earning his BS and MS degrees in Art Education from Buffalo State College. A lifelong resident of New York State, he makes West Valley his home. Considering himself the artist first and then teacher he has maintained active involvement with contemporary artists and art organizations. When you are painting alongside other artists, it is always a learning experience and sharing of ideas, methods and materials. The Adirondacks have become our second home especially during the summer months, and more than just painting inspiration. Judson continues teaching adult workshops and traveling to paint on new locations. Participation in exhibitions and shows has earned him numerous awards and recognition. 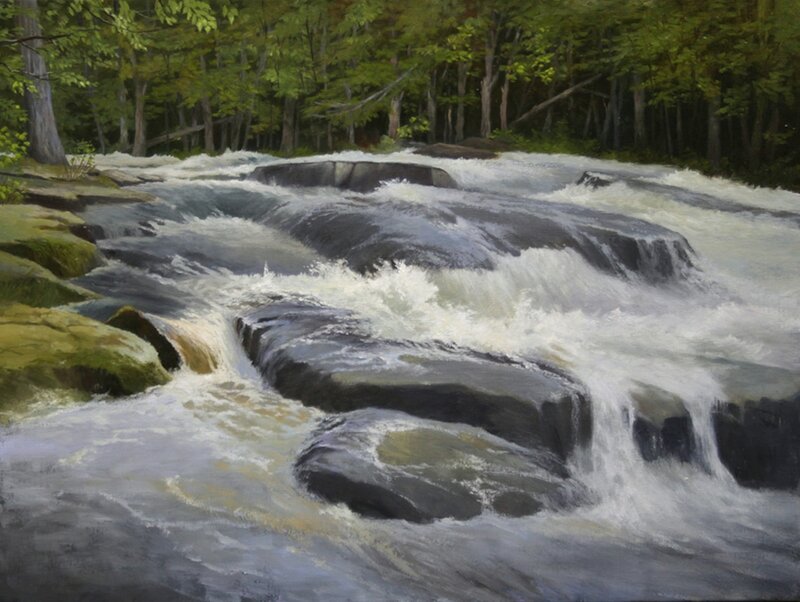 Judson continues to show paintings at View and Gallery 3040 in the Adirondacks.